As of now, Google’s new Android Auto interface is now available in the 2015 Hyundai Sonata. Hyundai is now officially the first automaker to offer a system that could potentially be sold in millions of vehicles in the coming years as customers seek cars that work seamlessly with their smartphones. 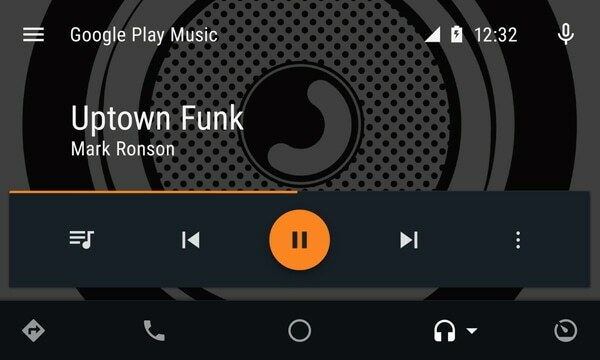 What is Android Auto? To start let’s recall that for years, the center consoles of cars have been dominated by “infotainment” systems, which are designed to control everything from music, to navigation, and even the climate systems. These consoles have steadily improved over the years but most auto reviewers have declared them generally terrible due to confusing interfaces, slow response, and an overwhelming number of options that most drivers know what to do with. As a result, the best in-car navigation and entertainment system is often the smartphone in your pocket. Oftentimes in the tech industry, something made to make our lives easier just makes things more difficult. 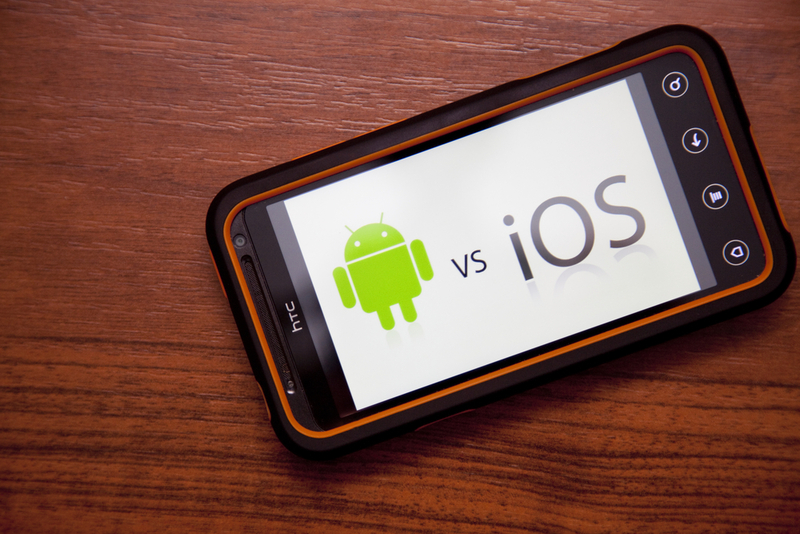 Enter tech giants Google and Apple. Recently, both companies announced new in-car systems — Android Auto and Apple CarPlay— that use your smartphone for navigation, music, and more, generally bypassing the car’s native user interface. The idea behind both systems is that if drivers are going to be using their phones for entertainment and navigation (eyes on the road please), they might as well use the displays and controls that are built into their cars. Thus, Google and Apple are setting out to minimize distracted driving caused by focusing on a phone while behind the wheel. The latest update in this tech, Android Auto is finally rolling out to production cars, starting with the Hyundai Sonata. While Android Auto does not fully replace the Sonata’s interface, it essentially runs as an app on top of it, launching when you plug in a compatible phone (Android 5.0 or newer) into the car’s built-in USB port. A major benefit to these systems like Android Auto, is that while the phone is being used the screen of the smartphone is locked, easing the temptation to fiddle with it while driving. It turns the car’s infotainment system into the a means for controlling Google Maps navigation, receiving messages, and playing music, listening to podcasts, and access to even more apps. It will even let users activate Google’s voice search from behind the wheel, using the existing buttons and microphones already built right into the car. There are menu panes to Android Auto in order to make it easy to operate compared to the native interface of most vehicles: navigation, a phone dialer, information, media and music, and a diagnostic pane that can display the vehicle’s vitals like tire pressure or fuel efficiency. The navigation pane works exactly as you might expect it to but entering in a destination can be done via voice or using an on-screen keyboard when the car is in park, and Google will provide information such as hours of operation and phone numbers for businesses. With one tap of the vehicle’s screen, you can call a restaurant to make a reservation or place an order as your drive there in real time. The media pane is where drivers will get the most out of their phone, with the ability to play music or podcasts from your phone through the car’s audio system. The list of media apps that Android Auto supports as of now is rather limited — Google Play Music, Spotify, Pocket Casts, and iHeartRadio, but you word is that Google will be expanding compatible apps in the near future. Sorely missing apps include Pandora, Radio, and any app that supports audio books. Android Auto’s most interesting pane, and the main reason you’d want to bother with it instead of just using Hyundai’s built-in system, is the central information dashboard. 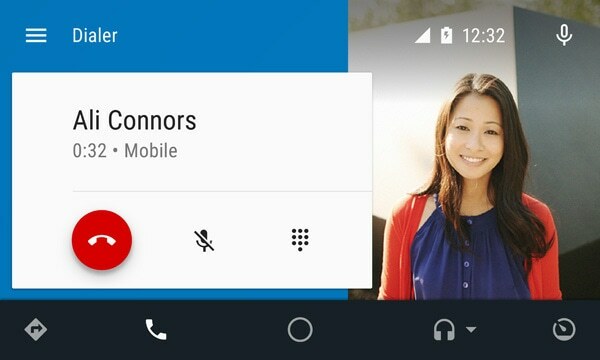 It mimics Google Now on the phone, displaying cards for current weather conditions, upcoming calendar appointments, and recently searched locations (whether they were searched for on the phone, in the car, or on the desktop). These cards aren’t swipe-able, nor can they be rearranged, but they do update based on your location and the time of day. If it’s 7AM and you have just gotten in the car, the top card presented to you would most likely be one-touch navigation to the office. 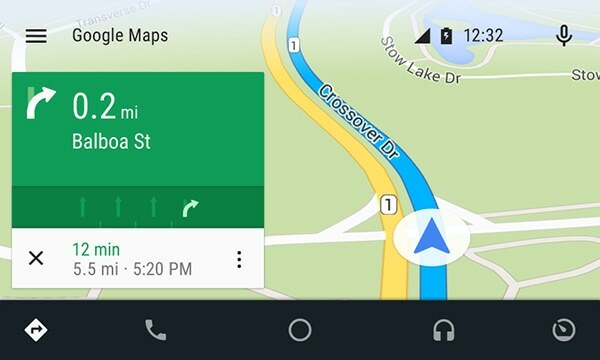 At 6PM, Android Auto would offer to provide directions home. This launch with the Sonata is actually a big victory for Hyundai, which had raced to be first to offer Android Auto. This is also a huge deal for Google as they are getting a new sleek, colorful system into tens of thousands of cars before their competitors. This definitely elevates Hyundai, the Korean auto giant, in the eyes of consumers and potential market share. The interface has actually been available since March in aftermarket navigation systems from Pioneer and after Hyundai toured during auto show season earlier this year. It did, however, take longer to get the system into production cars for a variety of reasons, including automakers’ rigorous quality controls and the difficulty of making a running midyear change on the assembly line. Now, to get Android Auto, customers must buy a Sonata with Hyundai’s 8-inch navigation screen, which is sold as part of a technology package. That bumps the base price of the Sonata from $21,975 to at least $27,450, including shipping. Luckily, if you are a customer who already bought a 2015 Sonata with the navigation system, you will be able to visit a dealership for a free software update to activate Android Auto. 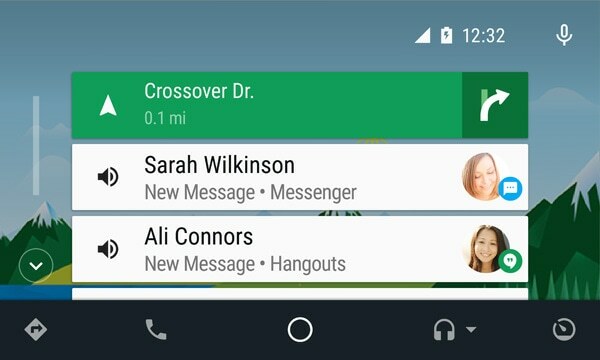 Work on Android Auto began when Hyundai, along with Audi, General Motors, and Honda, joined a Google-led group called the Open Automotive Alliance. 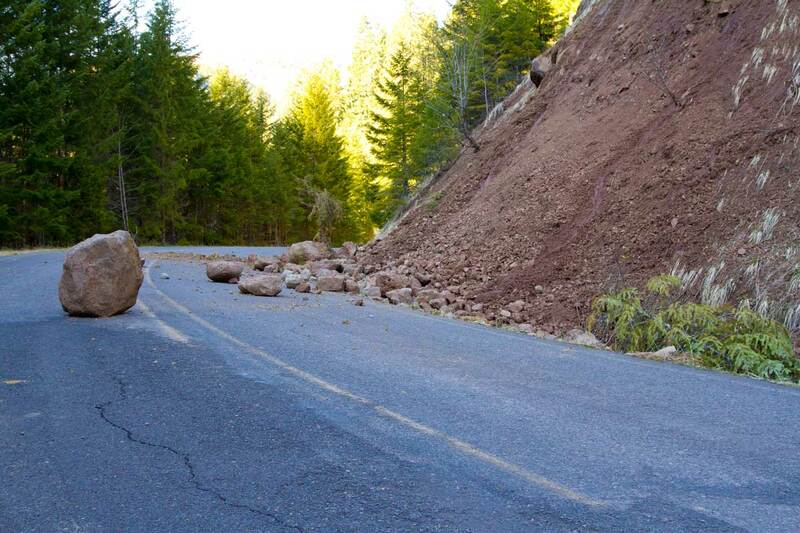 It was initially pitched it as a safer, easier way to make phone calls, listen to music apps, and use Google’s mapping service behind the wheel. 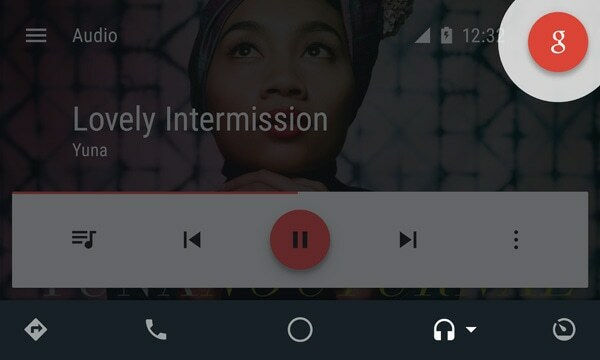 Android Auto also supports some third-party apps, such as Spotify, for streaming music service. More are on the way. Dozens of automakers have now pledged to use Android Auto. Ford, GM, Honda and Volkswagen are expected to sell cars with the interface within the next year. In the future of connected cars working in tandem with our mobile devices: Android Auto presents us with a stopgap solution until we get to the point where the automaker’s native interfaces can be fully replaced by more intuitive and familiar ones. Rumors are already circulating that Google wants to fully replace the existing in-car infotainment systems with an Android-based platform that even includes climate control functions. I’d be shocked if Apple wasn’t thinking about doing the same thing. But until we get there, Android Auto is a pretty interesting luxury. The distant future of the automobile might be the self-driving car, but the near future is already in your hands — and it’s pretty cool.